The new Sony VAIO M sells for £299 inc VAT. For that price you get a standard netbook offering standard performance, with a large hard drive, useful proprietary software but unimpressive battery life. The VAIO M distinguishes itself from prominent netbooks (like the Dell Inspiron Mini 10 and Lenovo Ideapad S10-3) with its matte screen, build quality, and better-than-average onboard audio. Overall, the Sony VAIO M's a good netbook buy. If you ever wanted to buy a Sony VAIO netbook but hesitated because of its high price, the Sony VAIO M should be a welcome change. So you've decided you want something bright and easily portable. The M12 is your netbook and its beauty is more than skin deep, with good specs and a highly usable keyboard to keep you going. Sony's build quality is generally excellent and this feels solid enough, despite its gossamer weight. Sony's M-Series looks great and has an excellent display and webcam, but it narrowly misses the mark. While it offers good value for money for a premium netbook, other 10.1in models offer just that little bit more at a similar price point. Samsung's NB30, Asus' EEC PC, Toshiba's brilliant NB305 and even MSI's U160 all fare slightly better. 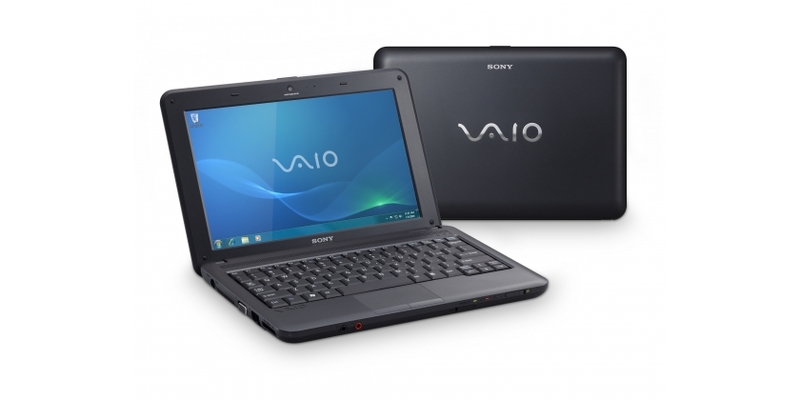 Sony is making another foray into the netbook market with the Vaio M-series VPCM12M1E/P. The Sony Vaio M-series VPCM12M1E/P doesn't exactly break new ground in terms of its performance, but it impresses with a bright, clear screen and a comfortable keyboard. We wish the trackpad were more comfortable and the battery lasted longer, but, if you take a shine to this machine, it'll make a reasonable investment.